WordPress Downloads Handler Plus, is a file download handler and a tracker plugin for WordPress powered sites. It could manage and track all your downloads over your WordPress site, You can use remotely uploaded files, also. 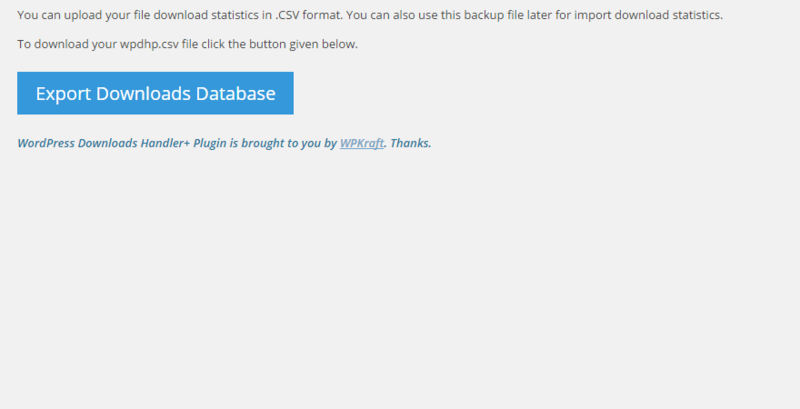 This Plugin doesn’t add any extra load on your database servers as usually others do. It even does not create any database table until your first download gets processed. It’s very light-weight and extremely simple to use. 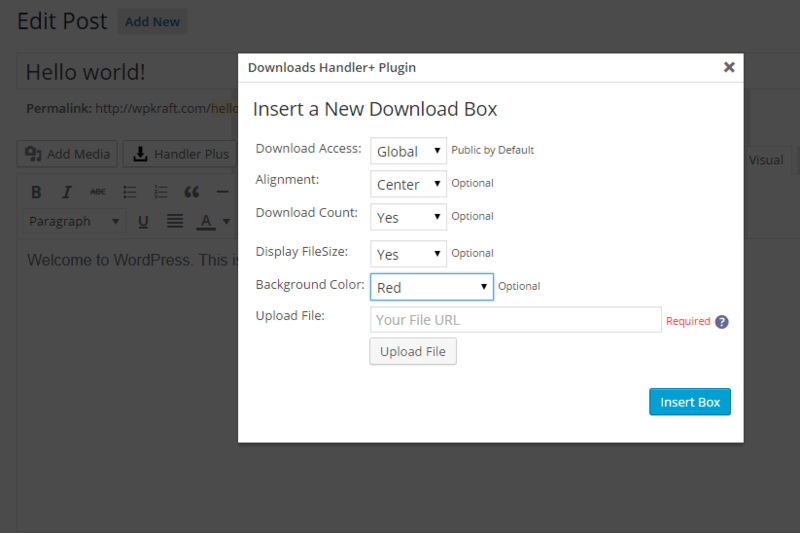 WordPress Downloads Handler, gives you an extra facility to add pretty download boxes directly to your posts. The download boxes, shows, file information and total number of downloads. You can easily, reset or delete any counter, using the admin option page. The Plugin doesn’t support files hosted on secure servers (https). You can use any file hosting service; as far as, it provides direct download links for the uploaded files. 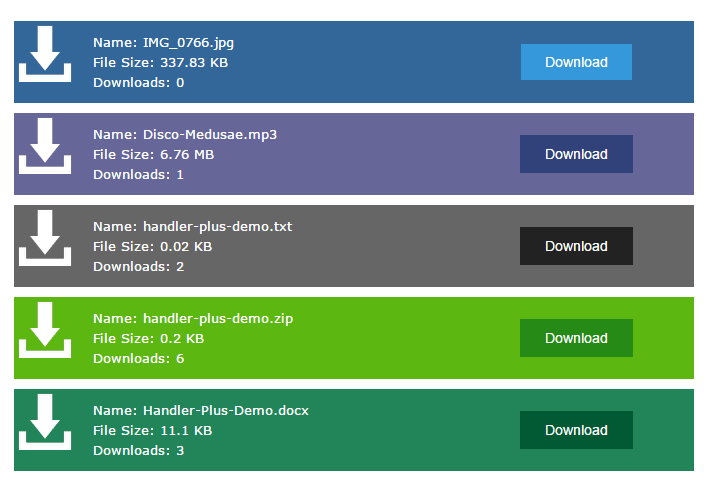 - Two New Color Schemes for Download Boxes. - Added 650+ MIME File Type support. - WordPress Multisite Support (Only Parent Installation). - wpdh database installation bug fixed. - Download Box style fixed. 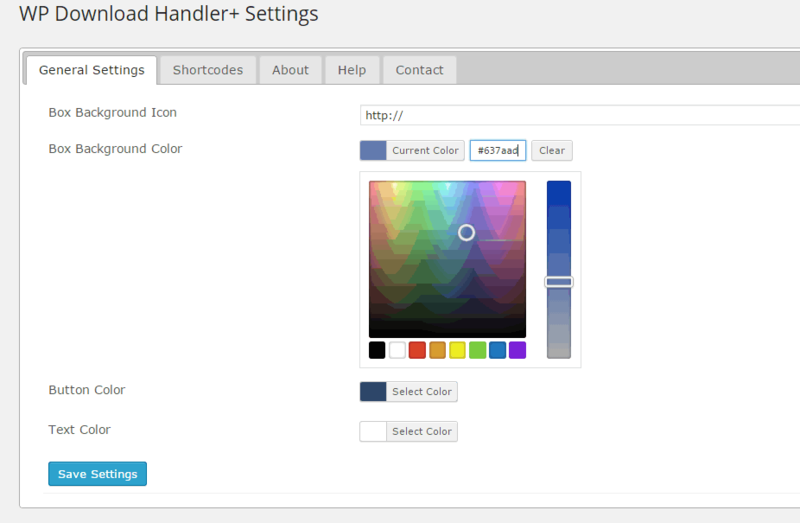 - 10 New Color Schemes for Download Boxes. Read Quick Starter Guide, and Preview Video to Learn How to Use WordPress Downloads Handler Plugin.